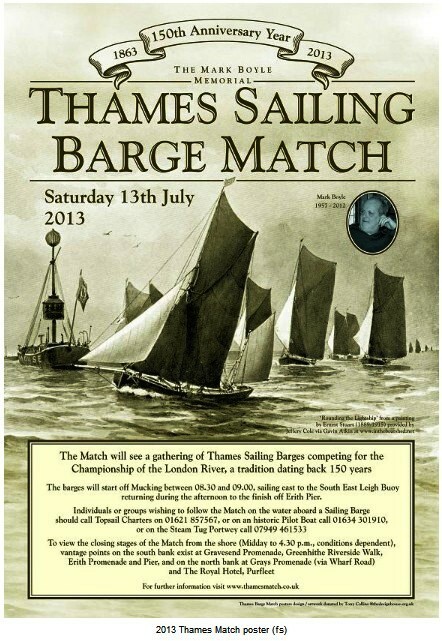 Here’s the poster for the 2013 Thames Barge Match. The match is special for two reasons. First, it is the 150th anniversary match, the first being held in 1863. 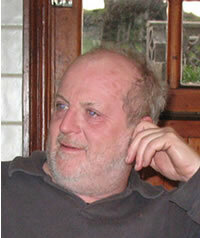 Second, it is entitled The Mark Boyle Memorial Thames Sailing Barge Match in memory of Mark who revived the event to celebrate the 50th anniversary of V.E. Day in 1995, had been its driving force ever since, and whose sudden death at the age of 55, just before Christmas, shocked and saddened the sailing barge community. So, let’s make sure the match has a great turnout of followers and shore watchers to make it even more special. 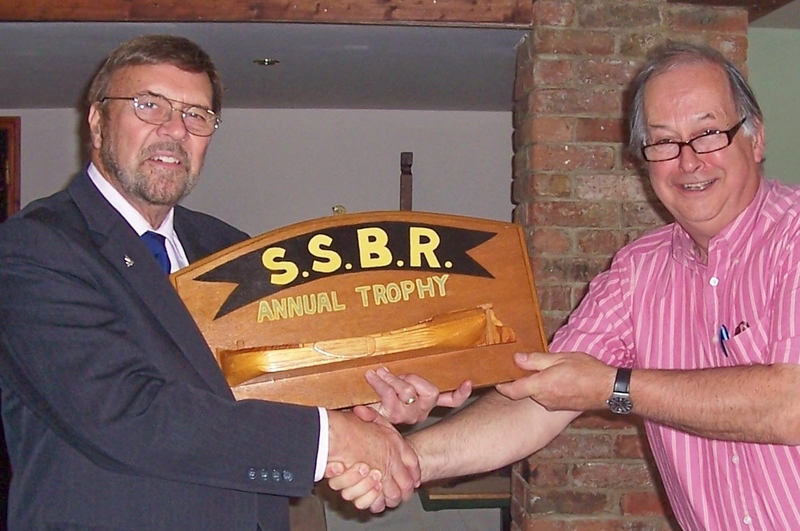 Incidentally, SSBR’s own Vice Chairman, Richard Walsh, has become Acting Secretary of the Match and taken on the task of running the 2013 event. 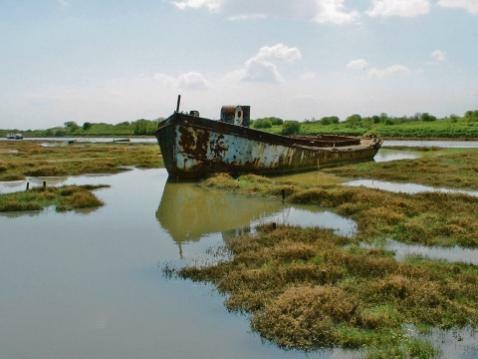 Back in the early part of the year the SSBR Committee heard reports that th e sb Trojan, which apparently had been abandoned on Leigh Marshes, had been removed by Southend-on-Sea Borough Council and destroyed. 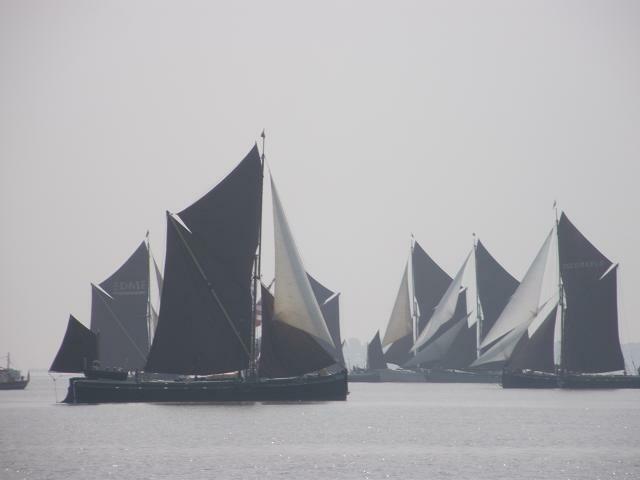 We learnt of this through a story that a man had been injured by the fall of a steel wall, although strangely there was no mention that the steel wall in question was part of the hull of a Thames sailing barge – not your everyday building accident! Everything then went quiet, but yesterday a report appeared on “The Echo” newspaper’s website, headed “Southend Council removed and destroyed Thames Barge it says was falling into a dangerous state”. It seems that the diligent David Hurrell had been at work and had revived the story, (please contradict this if that is not the case, David). 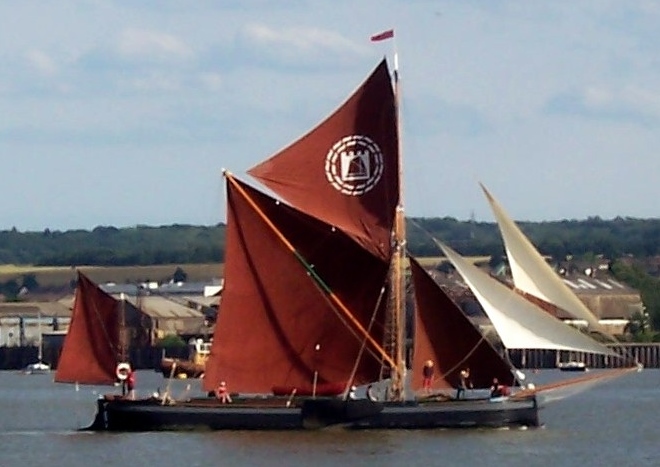 Southend Council is being reprimanded for not taking steps to establish the history of the vessel and its importance in the story of Thames barges and the river. Trojan was moored at Leigh’s Two Tree Island, and was the former headquarters of the Leigh Motor Boat Club. She had been a feature of Leigh Marshes for more than 20 years. David is quoted, as an SSBR member, as being disappointed Council officials did not give somebody the chance to restore the barge. He said: “She would have made a really good restoration project but Southend Council decided to destroy it”.